We are a traditional, hearty, local pub; family friendly, dog friendly - hey, we’re just friendly. All our food is cooked from scratch just as it should be, and being a free house means that we are able to stock a full range of great beers and excellent wines, all with exceptional, daily treat type value for money. All sports are shown on our TV screens, we have a children’s play area in the rear beer garden, there is a quiz every Thursday evening and Sunday Roasts are a speciality. Our wonderful menu changes through the seasons and is accompanied with some delicious specials. Join us for lunch, dinner and generous Sunday roasts. We cater for parties from two to two hundred and we’re always happy to discuss your requirements and make your experience unique and special. 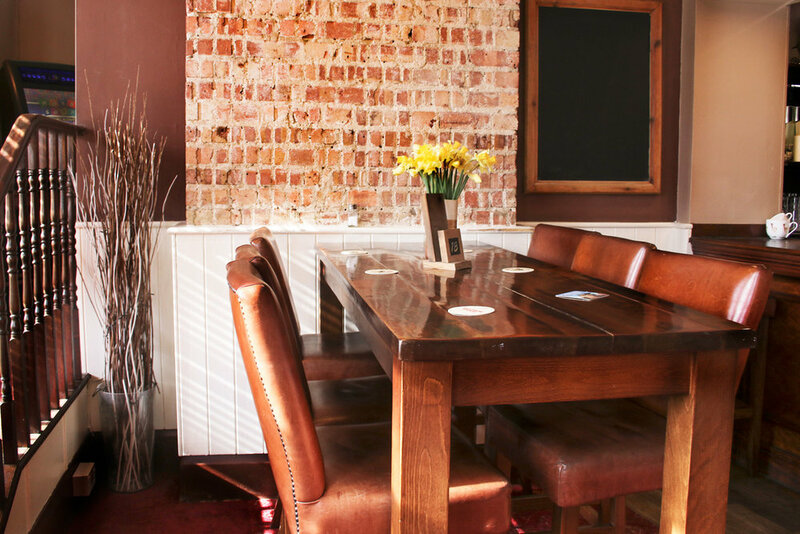 We can provide a variety of food and drinks packages to suit your occasion and your budget, and as well as our private function room we also take bookings in our restaurant area and sports bar. Please phone us on 020 8399 4043, email us or pop in and ask to speak with one of the management team. Amanda, Duane or Rob will be happy to help.